So how does the US government spend almost 10 trillion in 8 years with nothing to show for it? Easy. Because nobody ever locked them in a closet! Our elected officials do not understand money. They do not understand the work that goes into creating wealth. The also don’t respect the people who create that wealth. We all work hard. We try to make a good living for ourselves and our families. We show up to the office early. We stay late. Work overtime. Handle issues or even show up to work on our days off. We sacrifice. Some of us work two jobs. Most of us are in two income households. And with the money we earn, we spend it with the same respect we had when we earned it. We do not waste it. We try to make smart decisions while managing our needs with our desires. Do our elected officials? Evidently not. They give out loans to undeserving people and corporations with influence backed by our tax dollars. They steal Federal tax dollars for their own pet projects. They give it to foreign countries who publicly show disdain for the United States. They use it for on a “War on Poverty” that has only seen the growth of an ever dependent social class that is subsidized by the fruits of our labor. This does not mean we do not want to help the less fortunate. But it does mean we expect value out of our money. If we are helping people who are having a hard time, the money is intended to get them out of poverty, not to pay them to stay in it. We expect loans to be made by the banks who are in the business of lending money, not by politicians who are in the business of buying favors. We expect local projects to be paid by the people that use them, not financed by people who live 3000 miles away. We want the money that is earned in Oregon to support the needs of Oregonians. Not going back to Washington D.C. to be divvied up among the political elites and given back to the states that have the most clout. If our Federal Government cannot learn to control its spending and respect both the money and the people who earn it, then we need to take that spending power away from the Feds. We do that by electing new Representatives that hate spending money. 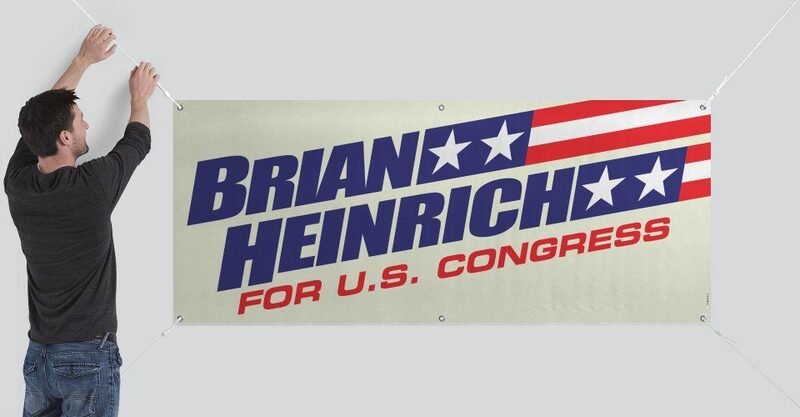 We need them to pass a balanced budget amendment that will stop the corruption and waste that floods the streets of D.C.. We need to elect Brian Heinrich to the US Congess. ← Raise my Salary until I’m broke!